Dr. Hodgkins joined Gateway in 1997 as Program Administrator at TPC Village. Since then she has held various positions including Associate Vice President of Residential Services, Chief Administration Officer, Chief of Professional Services, Senior Vice President of Administration and Senior Vice President of Clinical Administration. Dr. Hodgkins has more than 20 years of experience in the assessment and treatment of chemically dependent and dually diagnosed individuals, and often trains professionals in substance misuse, assessment, treatment and evidence based practices. She has been the principal investigator for federally funded grants for the treatment of chemical dependency and mental health services, and is Gateway’s site principal investigator for two current protocols funded through the National Institute Drug Abuse Clinical Trials Network. A licensed mental health counselor in Florida and Colorado, Dr. Hodgkins is also a qualified supervisor for registered interns sitting for Florida licensure. Her work in the private sector includes grant evaluation for different school districts throughout Florida, consultation and comprehensive evaluations for the Florida Department of Juvenile Justice. Dr. Hodgkins has published research regarding adolescent weight gain during recovery, co-occurring disorders in the homeless population, and trauma prevalence in homeless men with co-occurring disorders. She earned her Bachelor of Arts in Speech/Hearing Pathology at Gonzaga University in Spokane Washington, her Master’s Degree in Counselor Education at the University of Colorado in Boulder, Colorado, and her Ph.D. in Counselor Education Addiction Subspecialty from the University of Florida in Gainesville, Florida. Laura Dale serves as Chief Financial Officer for Gateway Community Services, Inc. As Chief Financial Officer, Ms. Dale is responsible for all financial aspects of the organization. Ms. Dale began her career in finance as an auditor at KPMG before serving as controller at the Nemours Children’s Clinic in 1993. Three years later she joined Premier Medical Management where she served as chief financial officer until 2001, when she became Chief Financial Officer for Gateway Community Services. Ms. Dale earned her Bachelor’s Degree in Accounting at the University of North Florida. She also holds a Bachelor of Arts degree in French from Florida State University and is a Certified Public Accountant. Dr. Yvonne Kennedy serves as Vice President of Professional Services at Gateway Community Services, Inc. Dr. Kennedy is responsible for Gateway’s Medical Department and oversees the agency’s physician coverage as well as operations for both in and outpatient detoxification programs. A board certified practitioner and a Fellow in Clinical Psychodrama, and Group Psychology, and Socio-Drama. Dr. Kennedy is an expert in psychodrama addictions and an international trainer and lecturer on these subjects. She has more than 25 years of distinguished service as an administrator of a 140-bed U.S. Navy Drug and Weight Management program where she developed a worldwide U.S. Navy training program specializing in addictions and psychodrama. She has performed an extensive number of research projects and is widely published. Dr. Kennedy earned her Bachelor’s Degree in Art from the Layton College of Art in Milwaukee, Wisconsin, her Bachelor’s Degree in Psychology from the University of Wisconsin in Milwaukee, her Master’s in Human Resources Management from Pepperdine University in Malibu, California, and her Doctorate in Rehabilitation management from Columbia Pacific University in Navoto, California. Nancy Motherway, LCSW, CAP, CPP has worked in the field of addictions since 1988 with over 25 of these years at Gateway Community Services. She has held various counseling, management, and director positions with most recently being promoted to Vice President of Utilization Review. Nancy received her bachelor’s degree in Allied Health Services from University of North Florida in 1988 and her master’s degree in Clinical Social Work from Florida State University in 2007. She received her license in clinical social work in 2010. Nancy is also a Certified Addictions Professional and a Certified Prevention Professional for the State of Florida. Randy Jennings is Vice President of Detox & Supportive Housing. In addition to his duties as VP of Detox & Supportive Housing, Randy is responsible for supervision of the Director of Nursing who oversees the Adult and Adolescent Detox and Gateway’s Outpatient Medical Assisted Treatment Services. Mr. Jennings also oversees the Program Director of Alumni House and Independence Village to ensure efficient operation of these two large recovery housing facilities located on Bridier Street. Mr. Jennings has worked in various positions including detox as the Clinical Supervisor, the Director of Adolescent Services, VP of Quality Improvement and Chief of Operations over his 30+ year career with Gateway.  In addition to his Gateway responsibilities, Mr. Jennings has served on several Florida Alcohol and Drug Abuse Association subcommittees and since 1994 has performed accreditation surveys for the Commission on Accreditation of Rehabilitation Facilities (CARF).  Mr. Jennings is a Certified Addictions Professional with a Master’s Degree in Human Services from the University of North Florida and a Bachelor’s Degree in Education from the University of Florida. Raphael Thomas, CBC, MRSA, MRSR serves as Vice President of Facility Operations for Gateway. He oversees the organization’s facilities department and the functioning of building systems including mechanical, electrical, and fire/life safety. He also manages projects concerning design, construction and development; supervises the maintenance of buildings, grounds and construction; equipment installation; renovation and redesigning projects. Raphael served in the U.S. Navy for 22 years. He graduated from Liberty University with a Bachelor of Science degree and holds an Associate of Science degree in Human Services from Florida State College at Jacksonville. He is a licensed Building Contractor and Mold Assessor/Remediator.